< What is new in Angle 4? The installation procedure of Angle 4 is simple and quick. First, in the welcome screen you need to choose the language which will be used in the installation procedure. The installation will continue using the selected language. This language will also be set as the default language for Angle 4. Click the “Next” button to continue. 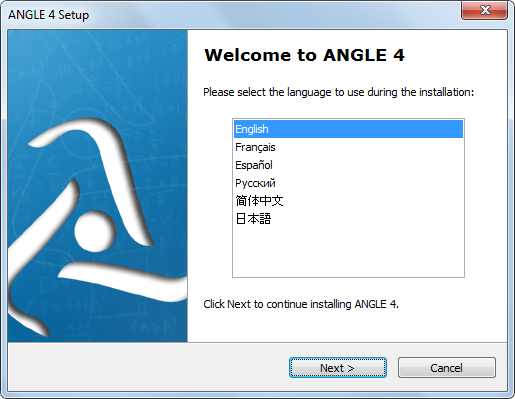 The language chosen during the installation process will be used in Angle by default, but you will be able to switch Angle to another available language at anytime. 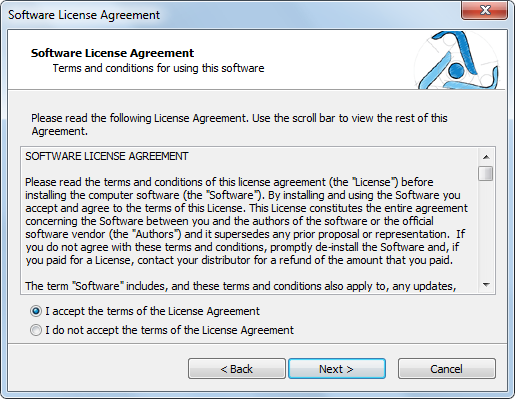 The next dialog box is the Software License Agreement to review. Accept it by clicking the radio button in the bottom of the screen and click the “Next” button to continue. In the following dialog box you can choose user settings. 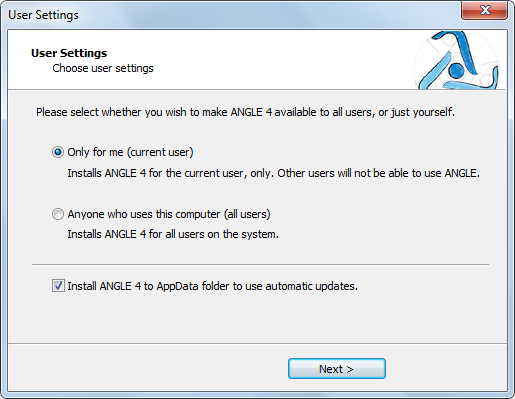 First, choose whether you want to install Angle 4 for the current user only (the recommended option), or for all users on the system. 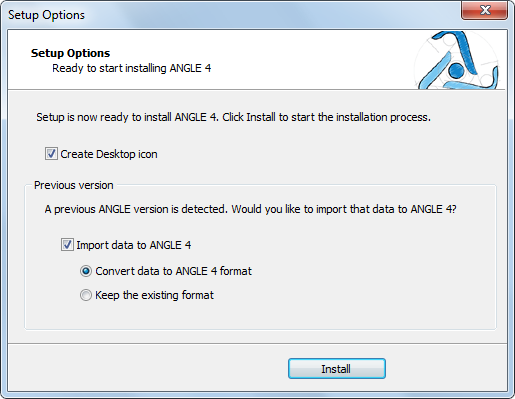 You can also choose if you would like to install Angle 4 to the AppData folder on your system. The installation to the AppData folder is recommenced for seamless updates of the software in the future. Otherwise, depending on the operating system used, you will need to provide administrator rights each time you want to update Angle. If choose not to install Angle in the AppData folder, Angle 4 will be installed in the “Program Files” folder (“Program Files (x86)” of 64-bit operating systems). This will require administrator rights to both install Angle and to update it later. In case you choose installation to AppData folder for all users, you will need administrator rights for installation, but not for updates. For recommended user settings (current user and AppData folder), no administrator rights are required either for installation or for future updates. In the final step you can choose if you would like to have an icon for Angle 4 on your desktop. If the installation program detects that the previous version of Angle is already installed on your system, you will be also offered the oprion to import those files to Angle 4. Even if you choose not to import the data, you will be able to use them later, but importing will make them more easily accessible. If you choose to import the data from the existing Angle installation, you can choose whether you would like to convert the data to the new file format, introduced in Angle 4, or to simply copy the files to new location. You will be able to use the files in both the new and old formats, but in that case you will lose out on flexibility regarding some advanced options. You can find out more about the new file formats and its advantages in the appendices B (“Command line parameters”), and C (“File formats”). Click the “Install” button to start the installation. After the installation is complete, you will be able to choose whether you would like to launch the newly installed Angle 4 upon a click on the “Finish” button, or not. 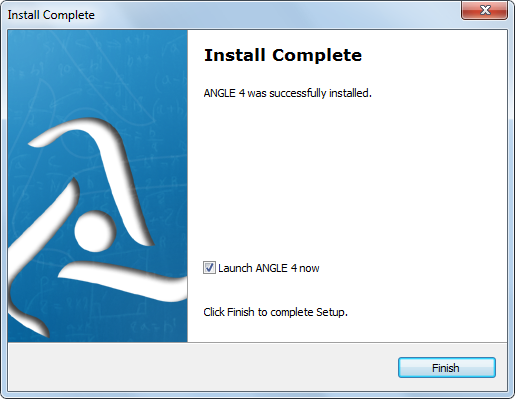 If you already have Angle 4 installed on your computer, when you run the installation program, there will be no need to choose the installation options, since you already did this the first time. The update will automatically start after clicking the “Next” button on the welcome screen.